Reminder: I'm a part of two giveaways! Check out the "Just A Little Something" Giveaway and the Hobby Polish Bloggers Winter Giveaway! I haven't done nail art in a while (been feeling a bit down), but today I decided to ease back into it with a simple snowflake design. What made it so simple and easy? Homemade sticker stencils! I am so in love with how this came out! If traditional red and green Christmas colors are too loud for you, silver and gold is a great alternative. I also think this is a great mani for New Year's Eve. I find that the black background helps turn a cute shape design into something classy! Paint your nails black (I used Cult Nails Nevermore) and add a fast-drying top coat (I used Seche Vite). Allow nails to dry completely (I think I waited an hour). Apply a stencil, making sure that it is adhered to the nail. I recommend applying them in a random pattern, with partial snowflakes at the edges of your nails. Fill in your shape using a polish that will be opaque in one coat. I used the Jesse's Girl Textured Nail Colors in Gift of Gold and Silver Bells. Immediately after applying the polish, carefully remove the sticker stencil. If your polish goes "out of bounds", you can try erasing the mistake with a tiny paint brush and acetone, but you will probably need to paint over it. To paint over it, mix your base color with some polish thinner on a palette and paint over your mistake with a tiny brush. I chose not to add more top coat because I liked the texture, but if you used regular polish or don't want to feel your textured polish, you can add top coat. 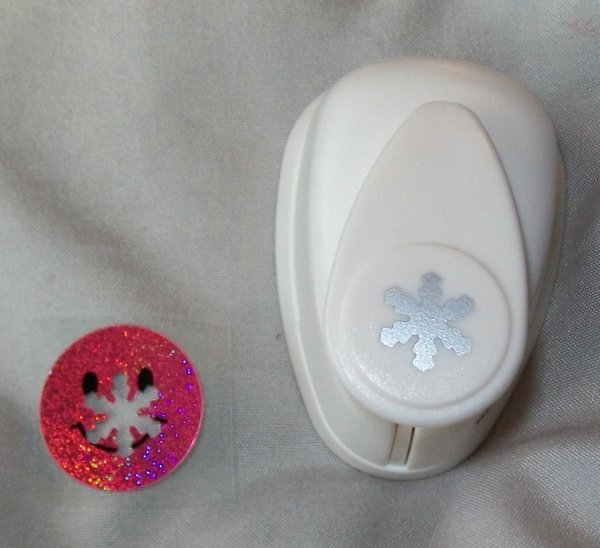 You could also freehand your snowflakes (non-textured polish is probably a better choice if you freehand your design) if you can't make a stencil. If you can handle making lines and/or dots, you should be able to make snowflakes easily :-) . This is awesome, I have to try this! Yup, textured elements really pop! Wow that is really clever...I may have to give that a try sometime. Looks great! I love this so hard! Loving this too! You're opening up a whole new stenciling world for me, and what a perfect way to use textures! It's super fun! Check the clearance bin at Michael's for the punches! UC Browser Customer-Support THANKS FOR THIS POST. Sometimes users face compatibility issue with their UC browser. If you have such a problem, you will not be able to install UC browser on your mobile phone. We have some easy fixes for this particular solution. Call our toll-free number to know more. "Just A Little Something" Holiday Giveaway!